Saturday, March 9, 2013 ratings — New episodes: American Ninja Warrior, Cops, and 48 Hours. Episode reruns: Person of Interest, 48 Hours, Cops, The Following, Chicago Fire, and Saturday Night Live. 8pm – Once Upon a Time: (rerun) 0.5 in the demo with 2.09 million. 9pm – 20/20: (rerun) 0.8 in the demo with 4.04 million. 8pm – Person of Interest: (rerun) 0.5 in the demo with 4.04 million. 9pm – 48 Hours: (rerun) 0.7 in the demo with 4.13 million. 10pm – 48 Hours: 0.9 in the demo (-10% change) with 5.46 million. 8pm – Cops: 1.0 in the demo (0% change) with 3.34 million. 8:30pm – Cops: (rerun) 1.0 in the demo with 3.53 million. 9pm – The Following: (rerun) 0.6 in the demo with 1.87 million. 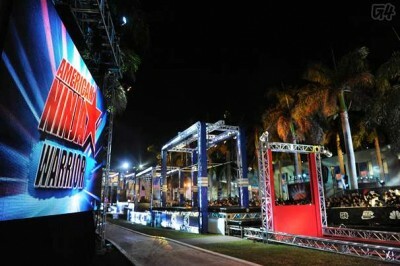 8pm – American Ninja Warrior: (compilation) 0.6 in the demo with 2.20 million. 9pm – Chicago Fire: (rerun) 0.4 in the demo with 1.90 million. 10pm – Saturday Night Live: (rerun) 0.8 in the demo with 2.40 million. What were you watching Saturday night? Cops, 48 Hours, American Ninja Warrior, reruns, or something better? Cops! Still going strong. The interesting thing about Cops is about how it’s the only real ‘reality’ show. It is what it is and shows the difficulty of the police upholding the law.